A compact combination of a complete drive in a robust housing, a flexible mechanical interface/connection, control electronics, bus interface and a very convenient hub for sensors. Test specimens: Doors, flaps , …. The system can realise motion processes through the integrated processor along with the ACTERE software. 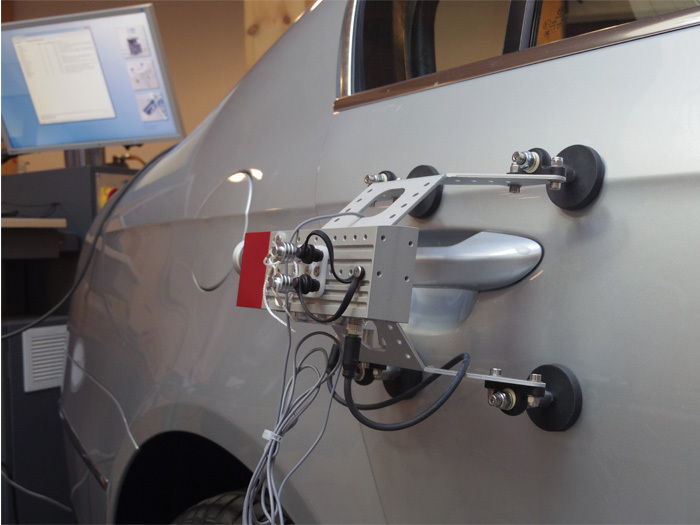 External measurement signals can be integrated via inputs directly on the actuator. The actuator is vibration resistant and moisture resistant, which is particularly important in dynamic component testing under climatic conditions. 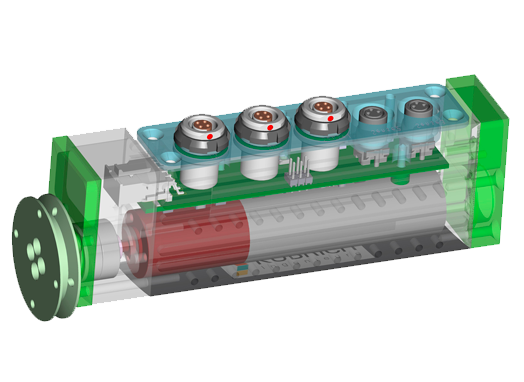 With the aid of the integrated bus interface, several actuators can be coupled in series, which then interact with each other via the software. The μAct can be mounted to many mechatronic components, e.g. door handles, sun visors or unlocking devices.